Girls creators Lena Dunham and Jenni Konner have landed a new TV project at HBO. They'll helm an upcoming series called Camping, and they've enlisted Jennifer Garner to star. Camping is based on a UK series of the same name by Julia Davis, who will also serve as an executive producer on HBO's adaptation. For the U.S. series, Garner will play Kathryn Siddell-Bauers, the overly controlling wife of Walt, and the action kicks off when their meticulously planned camping trip goes awry. An ex-best friend and additional uninvited tagalong create the perfect pressure cooker for drama to unfold. Garner's character is described as "messy, tough and provocative and really really fun." 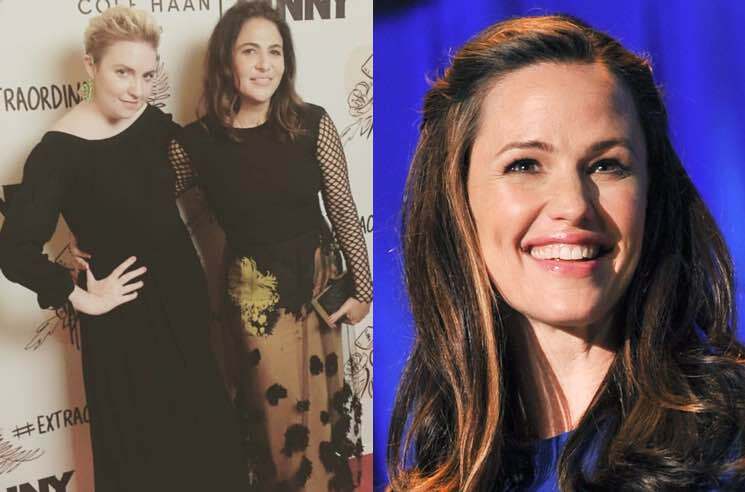 "We love Jennifer's restraint and comedic timing, and we can't wait for the warmth and intelligence she'll bring to our central character, Kathryn," Dunham and Konner said in a statement. "It's truly a dream to have her first on our call sheet. Now we just have to write her some stunts."